We have yet another entry from our trainee student and blogger Taylor Cornes. Today she is going to give you 3 FREE websites for teacher’s to use to aid and inspire lesson planning. Every student likes a freebie here and there, and this definitely applies to trainee teachers and free resources. When planning lessons, I always look online for inspiration as the basis of teaching is borrowing and adapting already-existing lesson and activity ideas. In my opinion, there is nothing worse than finding the perfect resource online and seeing the subscription fee that goes along with it in order to download it. This setback often results in me creating a similar resource from scratch – which of course – takes a large amount of time. There are an array of websites which boast fantastic resources, but I am going to share with you my favourite three in this post. Twinkl is a brilliant website with Key Stages and Year Groups clearly categorised, making it easy to find the age-appropriate resources that you are looking for. Although there are different levels of membership which do cost, the free resources (that are on there I promise!) are beautifully illustrated and can be downloaded as a PDF straight to your device ready for personalising or printing. At key points in the year such as Christmas, Easter and Bonfire Night, Twinkl release even more crafty resources especially designed for that event – and yes, some of these are free too! I could talk about how much I love Twinkl for longer, but my immediate plan for when I secure my first teaching job is to subscribe to the Platinum membership so I can access all of the resources! Primary Resources is another excellent website that offers resources across the curriculum, and each resource states exactly what year group it is suitable for. The resources range from worksheets to presentations, games to videos and there is truly something there for everyone. The resources can be opened directly with Microsoft Word and PowerPoint, and therefore can easily be personalised and adapted to suit the needs of the learners within your class. Unlike Twinkl, all of the resources on Primary Resources are completely free! TES is a website that I regard as the home of teaching. It has everything from current issues and news in the teaching sector, to job advertisements, and most importantly, free resources! As with both previously mentioned websites, you can quickly and easily find the age range of the children that you are finding resources for, and then pick the subject. The resources on TES are published by a range of authors, most of which are teachers who are simply sharing their resources with the rest of the teaching world, and some people even leave comments under the resource outlining exactly how they used it! Of course there are more but these three are sure to be the best! 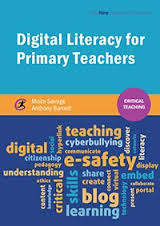 If you’d like any more information on technology and teaching then our book ‘Digital Literacy for Teachers’ is worth checking out! For details on any other title go to our website where all books are 15% OFF.